The first time in the history of India, a train ran at a speed of 180 km per hour from Mathura to Palwal which is at a distance of 84km was successful trial run. Here is an amazing news for you. 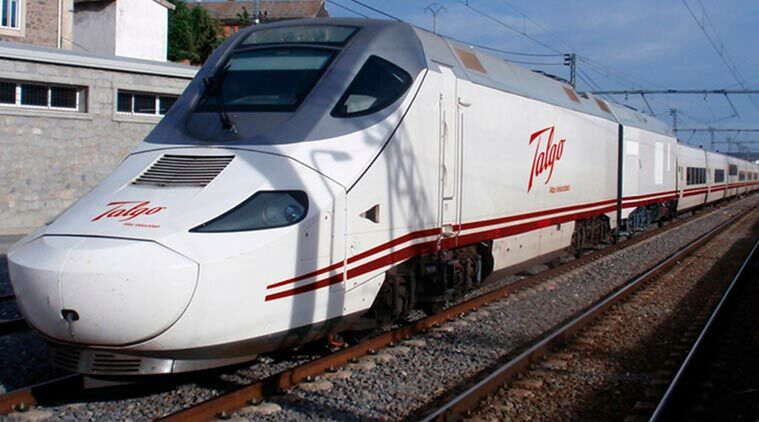 Telgo train brought from Spain to India on Wednesday created a ​​history. Telgo took off from Mathura station at 11.28 am and reached Palwal station at 12.05 hrs which is in 37 minutes. Train loco pilots Sunil Kumar Pathak said its maximum speed is 180 km per hour. Another train loco pilots Vivek Sharma under the bridge warned that speed has to be reduced 8 times. In the process of testing, overall 9 coaches were used. The speed trials will continue till July 26 to check the strength of tracks. However, After a successful trial between Delhi and mumbai, the trial is on track with jumping. The railway tracks near the train station were placed with 6 inches long and 1 inch thick piece of iron. Then again train was made to run. Therefore the investigation was to know that whether the high-speed train on the track affects blocker or not. What Is The Speed Of Trains In India? So far, the fastest express train in India is Moving Express, runs at a speed of 160km per hour from Delhi to Agra. 1. The coach of the wheels are attached individually to the spindle. So, coach does not feel it jerk. 2. The company now has 14 such coach. These coaches can run up to 380 km per hour speed. 3. Coaches were made ​​from aluminum are extremely light and so it is in full swing. The seats are extremely comfortable. 4. The elderly, pregnant women and children will not face any trouble during landing on the platform. 5. The emergency brake will not jerk the passengers upon impact.